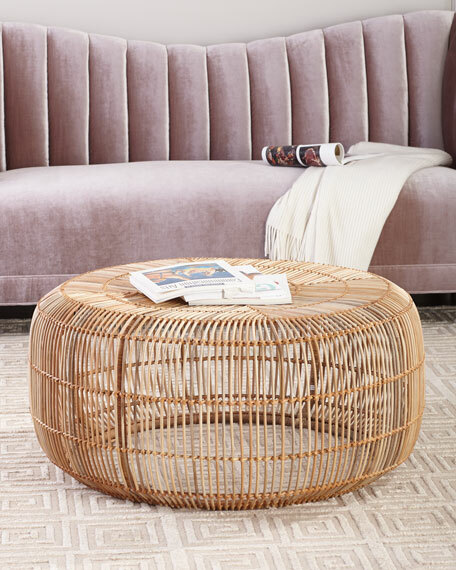 Crafted entirely from different forms of rattan, this is a cocktail table that's both resilient and stylish. 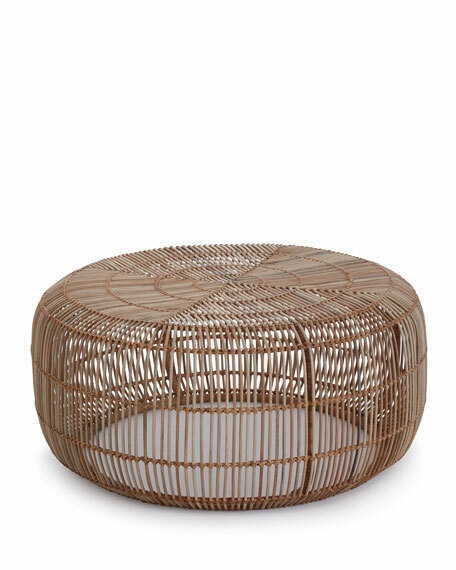 The reeds are formed from the top in a radial pattern in bent rattan, with a peel wrap that delineates each section to create the open design and quadrants. 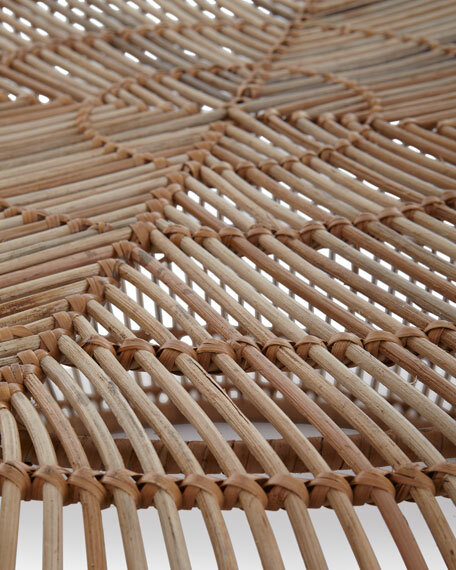 In staying true with the organic aesthetic, the materials are left in their natural state, raw and unfinished. Don't let the delicate form trick you, it's sturdy enough to hold books and trays for function or beauty. Natural state, raw and unfinished rattan frame. For in-store inquiries, use sku #2880159.